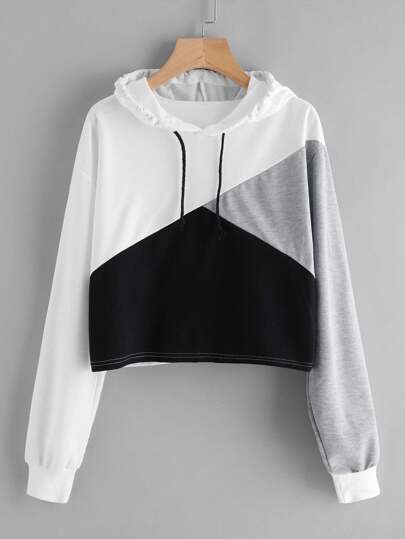 A French terry hoodie featuring a drawstring hood, long sleeves with ribbed cuffs and a frayed short sleeve layer, dropped shoulders, raw-cut hem, and a cropped silhouette. 58% cotton, 42% polyester. 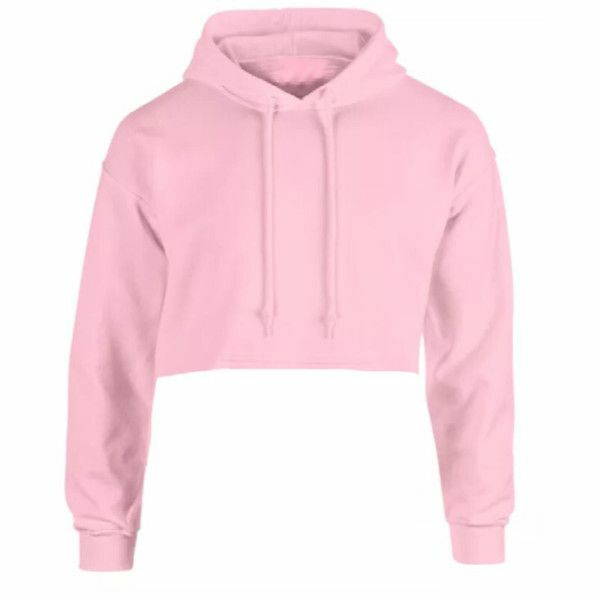 Crop Top Hoodie Crop Top And Shorts Cropped Hoodie Basic Hoodie Diy Crop Top Cute Crop Tops Summer Diy Diy Summer Clothes Sewing Clothes Forward Easy DIY transformation of a basic hoodie & sweatpants into a cute crop top hoodie and shorts set!